A calm, gracious and simple person, Indira was a very dear friend to me for nearly three decades. Elegant, cheerful and always smiling she radiated happiness wherever she went. Memories of the time we spent together are very dear to me. I especially cherish the discussions we had on Vedanta and the debates were not just academic but centred around how we could apply these philosophical learnings in our daily lives. I recall with nostalgia how Indira, Geetha and I immersed ourselves in the study of the Bhagavad Gita and Bhoja's Champu Ramayanam. 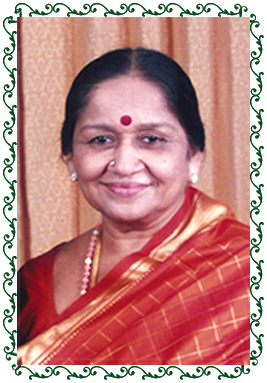 The Indira Sivasailam Foundation was instituted in 2010 by Ms. Mallika Srinivasan as an everlasting tribute to her mother Smt. Indira Sivasailam. A testimony to her enriching life, the foundation aims to further Smt. Indira Sivasailam’s love and desire to uphold and promote our rich cultural heritage by preserving and propagating its various art forms. .
Anwesha – ‘Bala Vidwan' Contest 2018 is a unique initiative by the Indira Sivasailam Foundation that aims to bridge the gap between Carnatic artistes and rasikas while providing a platform to budding artistes to showcase their talent. 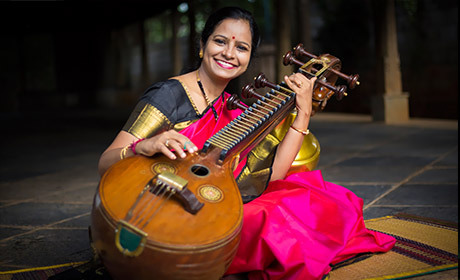 It provides a stage to exceptionally talented Carnatic music students of Vocal, Veena or Violin, in the age group of 10-15, to perform in the presence of the winner of this year's Indira Sivasailam Endowment Medal – Dr. Jayanthi Kumaresh. Organized as a small concert, participants get the unique opportunity of performing in the presence of Dr. Jayanthi Kumaresh, who will judge the Top 3 performers. The Anwesha – Bala Vidwan Contest is scheduled on October 18, 2018 | 9:30 am at the Music Academy Mini Hall.